We've got a new sketch this week designed by Fern and great prizes this month for our Sketch Along Tuesdays challenges at Frosted Designs! Hey there, my name is Nikki Sivils! 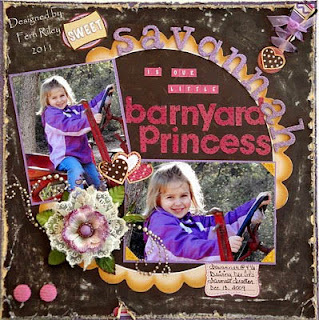 I love to scrapbook, make cards, and spend way too much time doing all kinds of altered projects!! I once created a “Haunted House” that took 18 hours to make. I worked for 12 hours straight before my husband reminded me that I needed to eat! I do the same thing when I am creating my paper collections – I’m just in the moment! I am a huge animal lover and have three dogs – two of which are rescues. I’ve rescued hundreds of dogs through the years and have found wonderful homes for each one of them!! I carry a collar, leash and some kind of tasty treat in my car (and I make my husband do the same in his car!) so when I see a running dog lose on a street or highway, I can return them home safely or find them a home. My husband, Dan, and I volunteer for Pet Therapy of the Ozarks where we take our dogs to visit all kinds of people who are sick or disabled. My little 6 lb Yorkie, Bella, is an absolute celebrity at the Hulston Cancer Center where she visits the patients while they are getting their chemotherapy treatments. All the nurses and doctors know her by name!! One of my favorite things to do is spend time with our kiddo, Henry. In the summer time, we’ll send Dan to bed early and stay up, keeping each other company while we obsessively work on our respective hobbies. It’s great bonding time! Starting Nikki Sivils, Scrapbooker is a dream come true and it also means Dan and I spending pretty much every waking hour together. We “share” a huge old farm table as our desk; I’m at one end and he is at the other (And we STILL really like each other, seriously!!). Going from an attorney to an owner of a scrapbook company is pretty crazy for him, but for me… it’s “in-house” counsel!!! Gotta Love it!! You can check out Nikki's site here and see her newest collections! 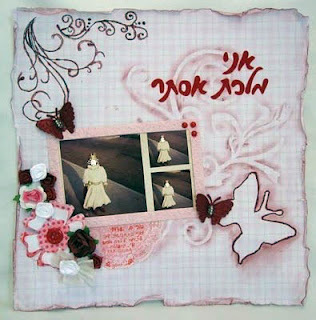 Nikki has given us two paper collections as prizes this month. Yes, that's right, two collections, Sugar Cookie and Tree Love. Now are you anxious to see the sketch Fern designed? Before we show you what our DT has created, we would like to welcome our guest designer for our February 8th sketch, Debbie Bakk! I'm 50 years old with 4 great kids (ranging from 20-26 yrs.old) have a wonderful and supportive husband, which we just celebrated our 10th Anniversary. 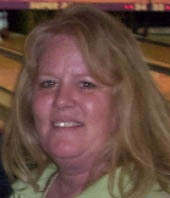 For the past 16 yrs I have worked as a part-time K-8th grade bus driver and a very active bowler- two times a week. I have been creative since I was in grade school and have tried all kinds of crafts, but scrapbooking has been my passion now for about 3 years. 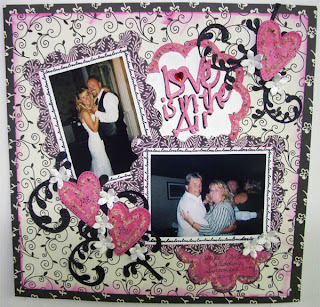 I was afraid to start scrapping- cause I had so many other crafts that I was doing and knew I would get hooked and I did. 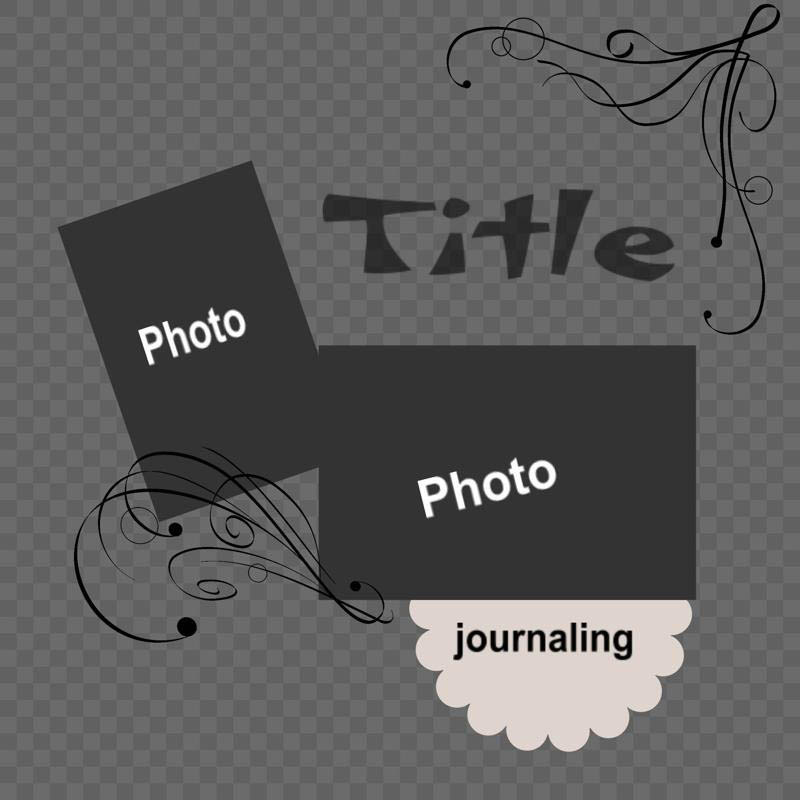 So I'm currently working on 8 books at a time which keeps me busy in my lovely scraproom that I and my DH have redesigned just for my Scrapbooking needs. 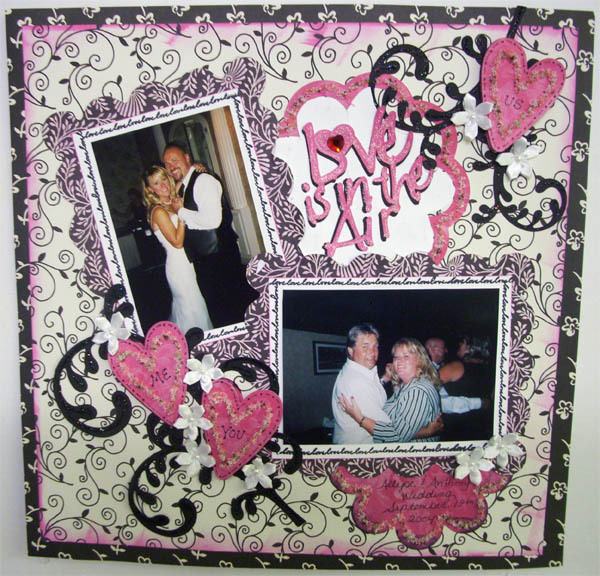 I love to work with papers and make my own embellishments whenever I can. I started my Debbie's Scrappin Corner blog back in February to post some of my layouts and meet other great people with the same passion as I and have enjoyed every day of my blogging and look forward to all the kind comments and great ideas that they all share. And I'm am thrilled to be here as a guest designer for one of my favorite blogs-Frosted Designs. 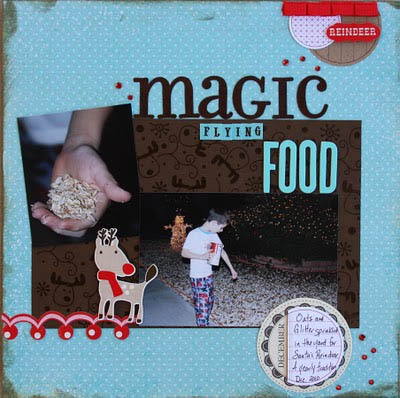 Debbie used Nikki's cute Tree Love collection for her layout! 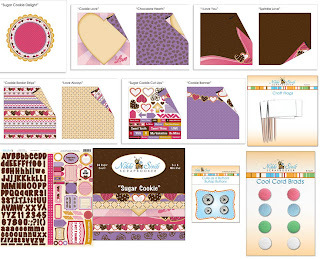 Fern used Nikki's Sugar Cookie collection on her layout! You have until 12:00 pm (est) on Monday February 21st to enter your projects! 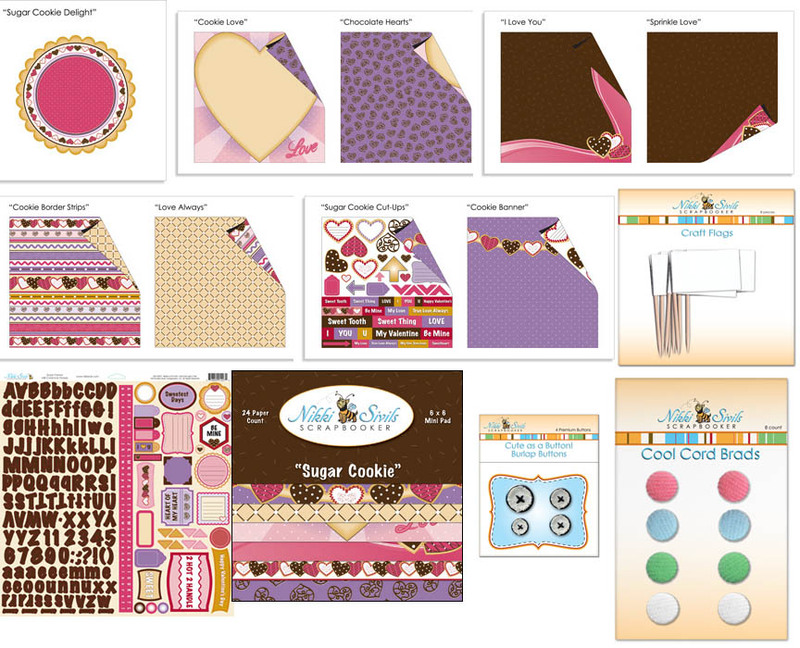 Monday evening will will announce the Top 3 for the 2-8 Sketch Challenge and the winner of the Nikki Sivils Sugar Cookie collection! Great layouts ladies!!! I am always inspired by this challenge! Wow! Nikki Sivils?! Great prize! Debbie... welcome! I am so excited to see you on the team this week! Love your LO! As for the rest of the team.... you ladies rocked it!! Fern great sketch!!! I love every ones LOs!! Welcome Debbie - love your layout!!! Our DT is the best!!! !